"Female lobbying firm thrives in male-dominated Capitol"
"We didn’t purposely set out to have a female-owned firm," said partner Tami Miller. Every client comes to POLITICAL SOLUTIONS with specific and unique needs. Working with you, we create a strategy tailored to produce tangible results and bolster your legislative efforts. We fully customize our service to each client based on their needs and desires. Our clients benefit the most from our relentless honesty and our understanding of what it takes to create the changes you need. You may not always like what we tell you, but we believe you benefit most from no-nonsense assessments with realistic expectations. In today’s political climate, a bipartisan firm offers clients the best opportunity to be seen and heard. Our diverse political beliefs and team approach to client representation ensures that your message is delivered to Democrats and Republicans alike with equal attention and equal impact. Strategic. Influential. Effective. This is a partial list of the reasons we value our partnership with the Political Solutions team. The Political Solutions team "gets it." They understand our needs and implement plans to achieve our goals. The people at Political Solutions are what makes them different from other firms. They combine expertise with a human touch. As a result, they are equally effective with legislators and clients. "Political Solutions is the gold standard by which we measure all the partners with whom we work. They’re brand-savvy, strategic, and connected. We have incredible confidence that when they are representing our company, whether we’re with them or not, they are doing so in a way that is perfectly consistent with our approach." "California Travel Association's 350 members in the travel and tourism industry are a diverse group and can be counted on to have a range of opinions on any given issue. But the one point that we have unanimous agreement on is that Political Solutions does an outstanding job representing travel and tourism's interests in Sacramento. Their reputation is stellar, their relationships with lawmakers and industry leaders are strong and deep, and their work ethic is admirable. Most importantly, they demonstrate every day that they are 100% invested in doing their best for their clients. It is a pleasure to work with Tami, Teresa and their team." "Effective advocacy is about what you know, who you know and how hard you work. These are the principal reasons Family Winemakers of California retained Political Solutions in 2005. The impact in terms of reach, visibility, credibility and results for wineries throughout California was immediate. Political Solutions has helped steer our public policy agenda of expanding marketing opportunities for all wine producers while fending off tax and fee increases. Term limits dictate that today's successful lobbying paradigm requires maximizing the use of resources and connections within the firm and its clients. Political Solution has perfected a unique blend and is highly regarded within the state's legislative & lobbying community." ~ Kent Knutson, Vice President of Government Relations, The Home Depot. 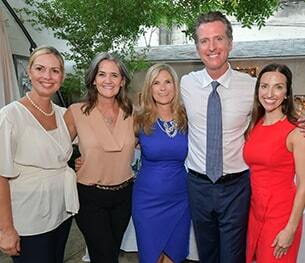 Political Solutions is not only a liaison to the Capitol and state departments, but a truly committed partner to the mission of Donate Life California (DLC). Because of Political Solutions’ policy leadership, our organization is now the largest donor registry in the nation with over 1,000 lives saved as a direct result of their policy success. DLC is proud and honored by the partnership with Political Solutions and we look forward to celebrating many more milestones together. As relative neophytes in Public Policy, the Komen for the Cure Statewide Collaborative relies heavily on the contacts and relationships that Political Solutions has built over many years. Their assistance is invaluable in helping us to keep the issue of breast cancer in front of our legislators on a regular basis. Staff has gone above and beyond what we expected in terms of availability, reliability and professionalism. Our partnership is allowing us to be very successful in protecting equal access to care for all women in California.